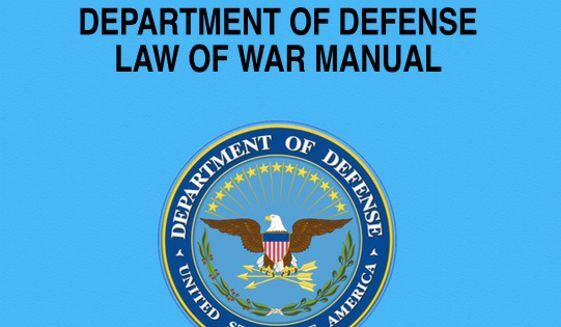 According to the recently released edition of the Department of Defense’s Law of War Manual (which governs the conduct of all five branches of our military), journalists may be detained without constitutional or Geneva Convention protections if military officers determine them to be helping the enemy. They can be held as “unprivileged belligerents” (a term the manual considers largely synonymous with “unlawful combatant” – p.103) for indeterminate amounts of time without being given access to legal counselor even charged with a crime. This rule change takes a giant step towards treating journalists—both American and foreign—as spies who have few, if any, protections under the law. It casts a shadow over the 1st Amendment in all areas of national security reporting and opens journalists up to immense risk on the battlefield. Instead of just having to worry about enemy IEDs, embedded journalists must now worry about being declared a terrorist and detained if they offend military leadership or write an unflattering story. persons who never meet the qualifications to be entitled to the privileges of combatant status, but who have, by engaging in hostilities, incurred the corresponding liabilities of combatant status (i.e., forfeited one or more of the protections of civilian status). In totality, these two provisions establish that military leaders in active war zones and military bases have the discretionary power to declare journalists to be “unprivileged belligerents” and detain them without constitutional due process (as though they were a terrorist). DOD officials contacted by the Huffington Post defended this policy by arguing that it wasn’t a strict and mandatory policy and was intended to target journalists or propagandists who help recruit more terrorists. Unfortunately, these “defenses” of the policy only make it more terrifying. First, the idea that military officers could be given discretion as to which journalists are legitimate and which are to be detained or harassed as “unlawful belligerents,” is extremely disturbing. As there is no established guideline for this determination, it could come down to the personality of the leader and the coverage by the journalist. If a journalist covers something embarrassing about an officer, criticizes their conduct on the battlefield, or exposes war crimes, they could very easily be targeted under this extremely nebulous rule by any vengeful officer. While a large publications (ex. 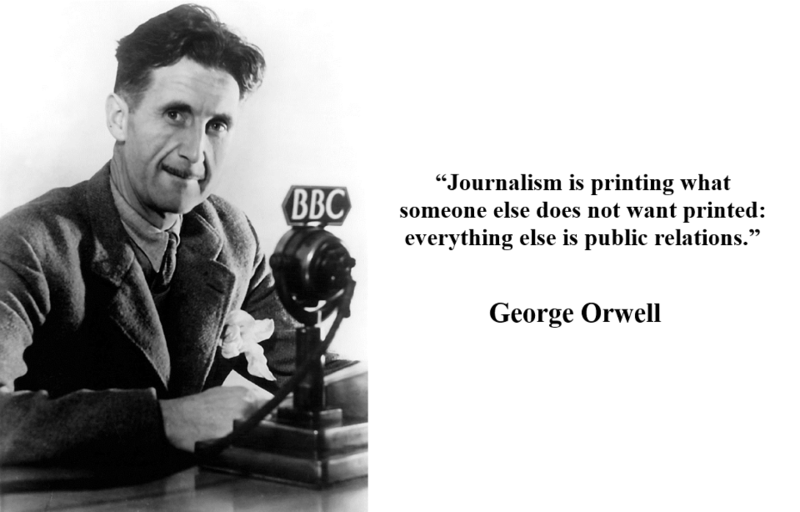 the NYTimes) would almost certainly be able to fight the classification and get their journalist released, smaller publication may not have this power and their journalists could end up in a legal purgatory for a long time (never mind if they are somebody like Julian Assange). Second, the argument that this policy only targets journalists who help terrorist groups recruit more fighters is misleading and dangerous. 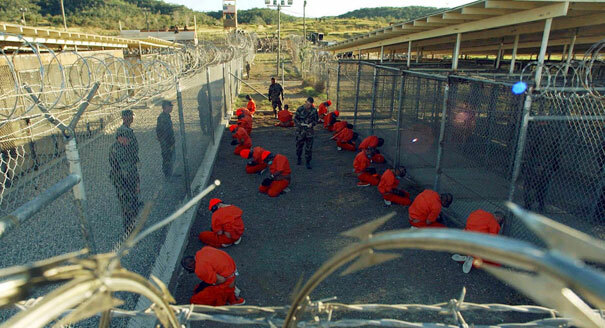 It is an established fact that legitimate coverage of news stories, like the treatment of prisoners at Abu Ghraib or Guantanamo, can act as an extremely potent recruiting tool for terrorist groups. Our government has done some immoral and illegal things in its “War on Terror” and, while exposing these crimes is important to promote accountability, it also helps bolster our enemies’ ranks. Under a strict interpretation of this argument, any journalist who covers the warm and fluffy things that the US military does (ex. building schools, saving people from natural disasters, etc.) couldn’t possibly be detained, while any journalist who exposes war crimes, collateral damage, military cover-ups, or incompetence could be detained as a terrorist recruiter. This disparity creates an unequal playing field where it is only safe for reporters to cover the military in a positive light. At the end of the day, every American is given a very simple choice: you can either stand by and let our government establish unconstitutional tools for reducing press freedoms or you can stand up and oppose such abuses (through the voting booths or activism—violence isn’t a valid response). If you choose to ignore this situation, you cannot be surprised when the media stops covering the crimes committed by our military, in our name. You will simply stop hearing about such embarrassments in the news and will have no ability to address them in the voting booths. That said, our enemies will know our military’s crimes (ex. drone bombing civilians) and will continue to use them to recruit more terrorists. Your ignorance will only shield those who break the laws of war and will lead to greater abuses and more anti-American sentiment in the future. Sounds reasonable to me, but since there are 5 branches Air Force, Army, Coast Guard, Marines, and Navy, which 2 branches of our military are not covered? Our military has enough problems fighting one enemy, journalists should never be embedded with our troops. Bye Bye 1st amendment. What are we fighting for then?